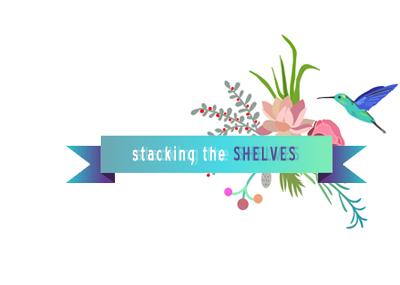 Stacking the Shelves is hosted by Tynga’s Review. Here are the books I acquired this week. Paladin by Sally Slater: I’m in the mood for some Mulan-esque action: cross-dressing shennanigans & female warrior. This book has been getting good reviews, Kindle had it for less than $3, so it’s a no-brainer purchase. The Martian by Andy Weir: I was attracted mainly by the pretty cover and the glowing reviews about how great the research was for this book. Since reading it, I also found out that it’s going to be a movie starring Matt Damon (!!!) later on this year! Review to come. 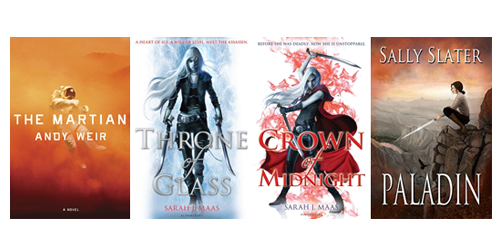 Throne of Glass & Crown of Midnight by Sarah J Maas: I’ve tried reading Throne of Glass in the past, but it never managed to grip my attention. Since reading ACOTAR, I’ve wanted to try this series again. I picked up the first two books hoping that I will love them! Have you guys read any of these books? Did you enjoy them? I’m so happy there’s a movie, I kept thinking throughout the book that this would make for an epic viewing experience. Plus, Matt Damon ❤ <3! I picked up Throne of Glass a few weeks back, but I haven’t read it yet. I heard such great things about it, though! I really need to read Throne of Glass. Everyone raves about the series. I hope to get around to it eventually. Have a great week! I DNF’d Throne of Glass when it first came out… but it’s the crazy popularity that you mention which made me want to try read it again. A million fangirls can’t be wrong… right? Sounds like a great haul! I have only recently gotten into the blogosphere, and have been hearing a lot about Throne of Glass. Will be keen to see what you think of it!